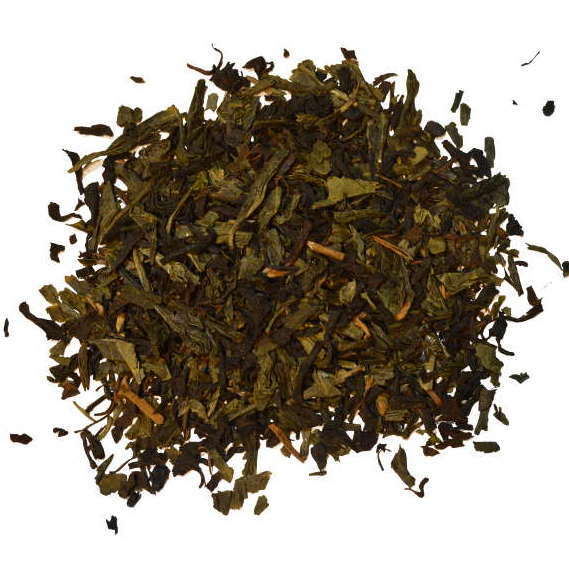 A blend of green and black tea flavored with apricot in honor of Stanford Ovshinsky. An Akron man who drank tea daily, sometimes adding jam. Stanford was a self-taught energy inventor and scientist. A blend of green and black tea flavored with apricot in honor of Stanford Ovshinsky. An Akron man who drank tea daily, sometimes adding jam. Stanford was a self-taught energy inventor and scientist. Steep 3 minutes 185 degrees F . 75 gram tin. Standford would drink green tea almost daily, a habit he likely picked up on his frequent business / scientific trip to Japan. Stanford would also on occasion drink black tea sweetened with jam with his mother. We chose a blend of green and black tea to honor these traditions in his life and to allude to the AC / DC current issues he worked on in his research. Apricot worked well in the blend and may have been a flavor of jam he would have enjoyed with the tea.